Dela: What have you been up to recently? Dela: How did your beat making begin? Dela: Do u still rap? Dela: Where did you have your second cycle education? Dela: How was the rap talent during school days? Dela: What has been your motivation? Dela: When did u begin sound engineering professionally? Dela: What was the title? Dela: How was the experience like with that first song? Azee: It wasn’t anything strange since I used to record in my room before then. We used to hang a PC microphone somewhere and record a song. Dela: Which people can you say have had a great influence on your career? Azee: Talking of the general public, I will say my girlfriend, when it comes to artiste I will say Microphone, Bradez and Strongman and when it comes to production I will say Hamma of the last two (2) and Dr. Dre and I have always tried to get the same sound quality or better sound quality than Hamma. Dela: What do u usually do to relax yourself? Dela: What is the craziest thing you can ever do? Dela: You are known to be the CEO of Micburners, right? Dela: How long has Micburners been in existence? Dela: How well has Micburners influence music in Kumasi? Dela: How many members can you boast of? Dela: What basis do you use in signing artiste to your label? Dela: How did you come by strongman? Dela: How was the feel like when he formed part of the next big thing? Dela: Did you have any hands in him joining the show? Dela: How has he emerging the winner affected you n the Micburners Crew? Dela: How far with the GhOne and Strongman deal after the show? Dela: How far can this deal take strongman? Dela: How much impact has he had on Ghana music? Dela: Which artistes would you say in Ghana now is your favorite aside the Micburners? Dela: As a CEO, what are some of the difficulties that come your way? Dela: When did u start teaching? Azee: I entered into education after university, since I wanted to benefit from my degree too. Dela: Where do you teach? Azee: I teach in Manso at the Amansie West District, Ashanti. Dela: Which level are you teaching? Dela: Why did you move your production to Accra? Dela: Why the capital city and not else where? Azee: That is where are goods are readily and easily sold. I didn’t necessarily move to Accra because of studio works but because of my artistes. Dela: What is it that Kumasi lacks so much that engineers have to move to Accra before their artistes become known (Popular)? Azee: Music production is a business and you expect to earn a living from it. But is very difficult to make this a business since the guys doing secular music are not willing to pay good price for the quality of service they get just because you are a producer who lives in Kumasi. Can you believe I charge the same Kumasi guys a double of what I used to charge them when I was in Kumasi after I moved to Accra? They don’t complain, you no why? Because I am in Accra now. Dela: What would you say differentiate you from others? Dela: Which artiste(s) in the country and beyond would you love to produce their songs? Dela: Any expectations for Ghana music in the near future? Dela: Which artistes have you enjoyed working with? Dela: What can you say is the future of Strongman and the Micburners Crew? 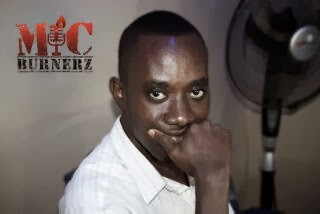 Azee: Taking Ghana music to the next level as Hamma of the last 2 said during the next big thing.